Contemporary, white acrylic upper kitchen cabinets combine with espresso wood lower cabinets for a fresh look in this renovated 1980’s home. 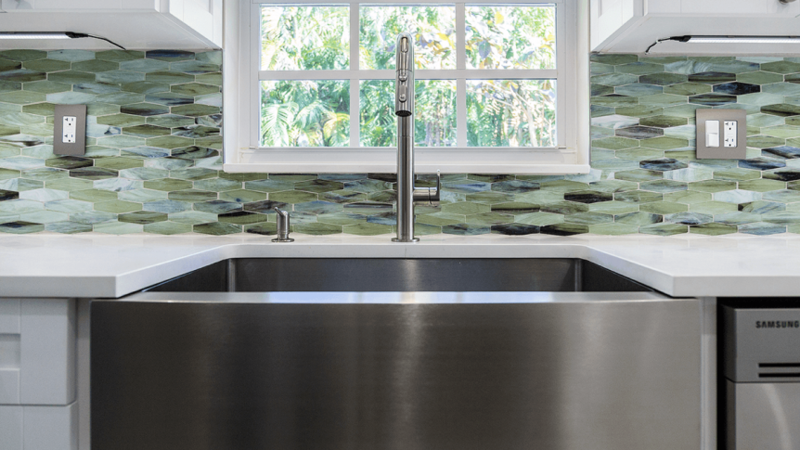 The glass backsplash tile mimics the gleaming inside of an abalone shell for a coastal touch. Counters are quartz with subtle marble-like veining. Flooring is porcelain tile to look like wood planks. Sophisticated lighting in the dining room supplies a casual, elegant look. 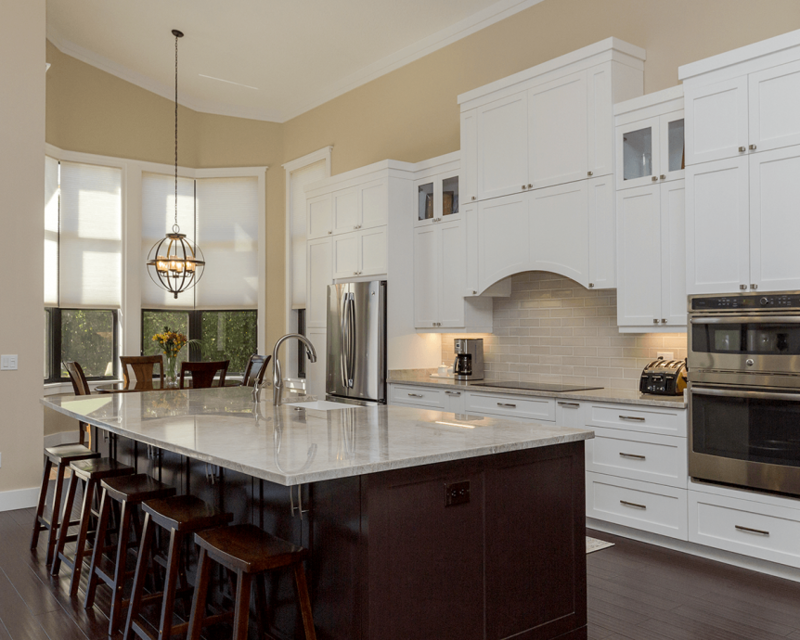 At bar height, the kitchen island helps to separate kitchen and living space in a large open room. White glass cylinder fixtures hang above the bar suspended from a high ceiling. New kitchen layout wraps the cabinets around a corner for a more open feeling and additional storage. Style meets function in a stainless farmhouse sink which sits neatly in a quartz countertop. 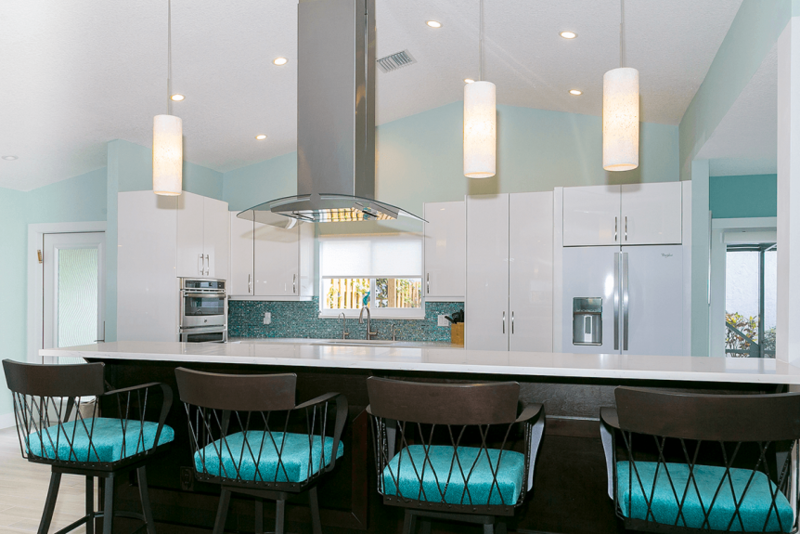 This bar was updated with a built-in wine cooler, a multi-colored granite counter, blue glass tile and lighted glass cabinets. A new kitchen cabinet layout for this efficiency kitchen left space for a breakfast bar. 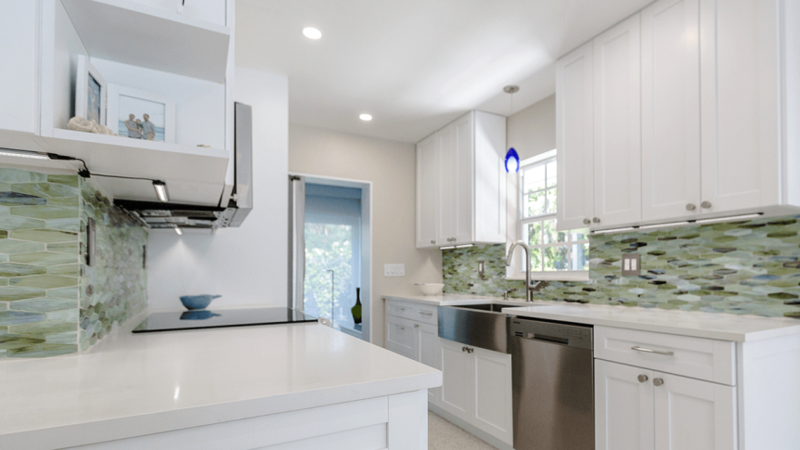 The floating granite countertop is supported by a Shaker-style end panel. 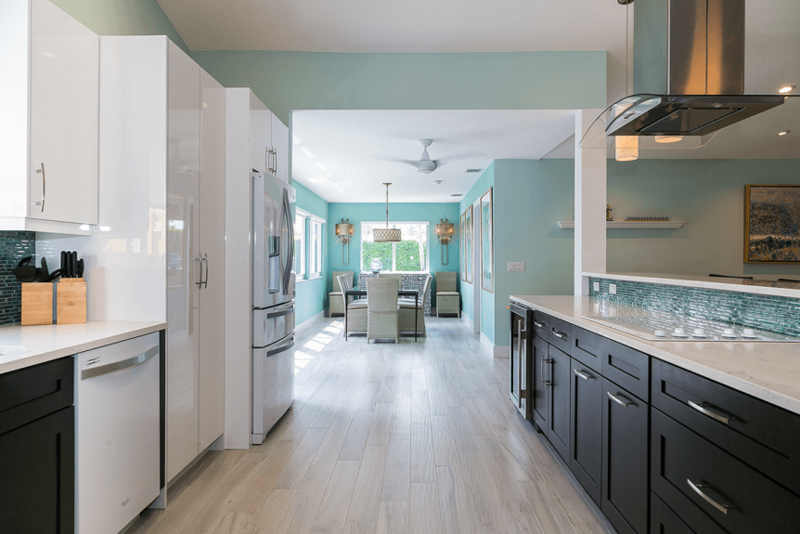 Coastal style elements are white Shaker cabinets, light blue glass backsplash tile, granite counter and porcelain tile floors for this efficient, easy-care kitchen. White Shaker style custom-built cabinets were designed to take advantage of the high ceilings in this renovated 1990’s residence. 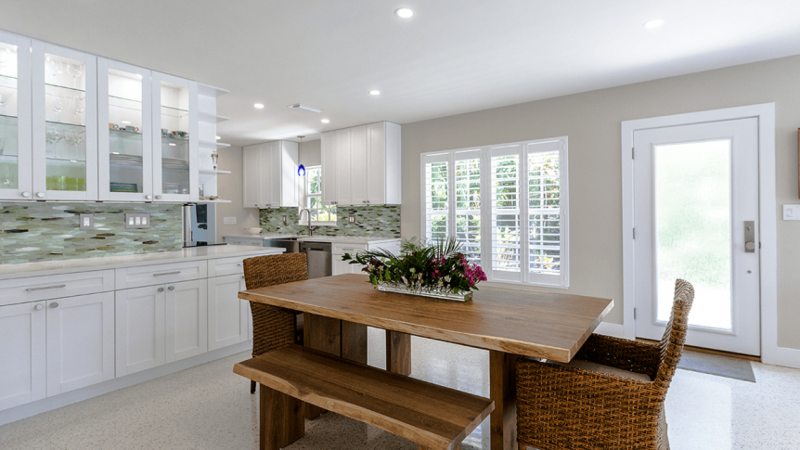 Espresso cabinets form a large island with counter dining adjacent to the living room area.